were impressed with the simple poetry of its creation. 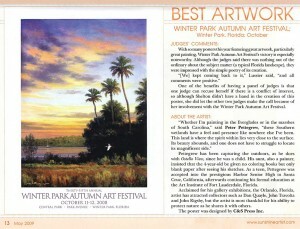 her involvement with the Winter Park Autumn Art Festival. wetlands have a feel and presence like nowhere else I’ve been. This land is where the spirit within lies very close to the surface. 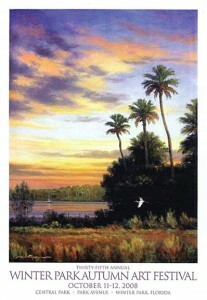 the Art Institute of Fort Lauderdale, Florida. protect nature as he shares it with others. The poster was designed by C&S Press Inc.
You are currently browsing the Peter Pettegrew blog archives for April, 2009.